15 years of web development experience. I do web design, Facebook marketing, email marketing, software development, and more. I can work within your budget. Let's talk. Ethical. Experienced. Effective. I leverage the internet to generate leads and sales with professional, lead/sales-driven websites. Take a look around to learn more about who I am and what I do. I am located in Southern Indiana (Washington), but have clients nationwide. I can design and build a website for you that converts, generate traffic to your site, and/or do a host of other things to help you make more money via the internet. Get with me. I can probably work with your budget. I can create a website for you that not only looks amazing but one that converts into sales! I can build any type of site you need on just about any budget, from a simple small business site, to a complex, custom e-commerce site. SEO and Facebook Advertising are two of the most potent sources of leads and sales online. I specialize in this with 13 years of experience and millions in revenue generated from my campaigns. I regularly develop powerful software, both web and desktop based. Just tell me what you need and I'll make it happen. We can do custom coding, or we can splice toegether available API's etc. to cut costs. Thousands of top 10 rankings since getting started in 2004. I stay on top of Google updates. I make sites that look amazing and convert into sales. I stay up to date with the latest in social media and I leverage it to build brands and drive traffic. More about what I do...! In the fall of 2004 I built my first website while serving in the U.S. Army, stationed in Germany. I've been hooked ever since! Since that time I have built a 6-figure business and worked with some of the biggest names in the industry. For the past few years I've been working with Jonathan Leger. Last year (2015) alone we generated over $4.2M in sales. I have a passion for Search Engine Optimization, email marketing and social media marketing, but I do just about everything that relates to marketing online. At Prosperative, we develop state of the art software that solves many common problems. Your message was sent successfully. I will be in touch with you soon. Thanks! I've worked with and been influenced by Josh for at least 8 years now. In my first investigations into internet marketing, I stumbled across Josh's info and added him to the short list of people I consider credible resources for online marketing. Josh isn't flashy and he'll never be a hype-y sales guy, but he teaches and utilizes time-tested marketing techniques with integrity. Even in the days of "this is the new shiny object, try this" marketing, Josh didn't get caught up in that. The things he's been using for years are what people have finally circled around to. Do the right stuff consistently and you'll build an internet business, not just rank one day and disappear the next. 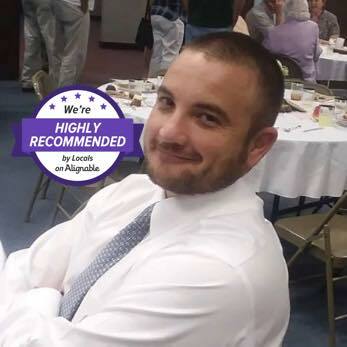 You can take Josh's advice as reliable, implementable, and worth every penny. I've had the pleasure of working with Josh for more than three years. He has managed and mentored me throughout that time, teaching me the skills I need to succeed. He is passionate, focused, and dedicated with a great business sense for marketing and sales. He continues to coach others, as well. His marketing knowledge is boundless from coming up with profitable ideas, writing great copy, search engine optimization, lead generation and then, understanding the technical side of it, like web development, software design, web hosting and more. I respect and admire Josh and I am sure I will continue to learn from him. Hands down, Josh is one of the best Internet Marketers that I have ever known. He is a very determined, focused individual that can make things happen. He is a hard working individual who keeps his priorities in mind at all times. Josh Spaulding is extremely knowledgeable about Internet Marketing, Writing, and Making Money Online. Want more traffic to your website, hire Josh! Josh is [an] outstanding Internet Marketer who thinks outside the box. I highly recommend him ... I would do business with Josh anytime. In my dealings with Josh over the past year, I've found him to be energetic and principled in his approach to Internet Marketing. I have a lot of respect for him, and we continue to have contact on an almost daily basis.